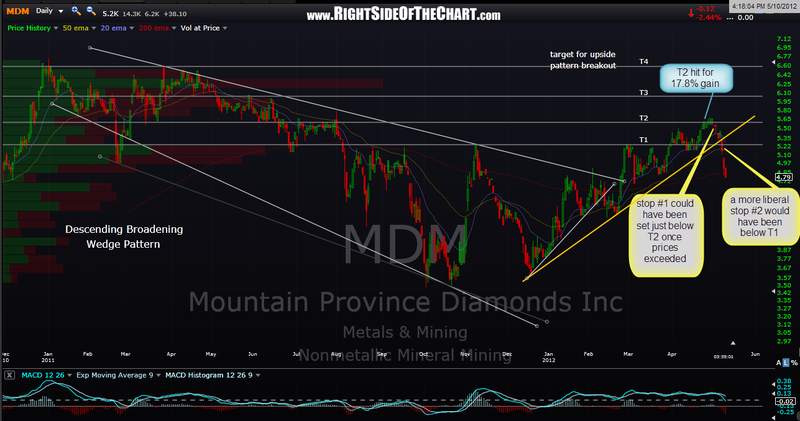 as i continue to update any outstanding set-ups or active trades that should have already been re-categorized, MDM stands out as a good example of how one can utilize the targets on the trade ideas posted here not only as profit targets but also as an aid to placing stop-loss orders to protect profits on winning trades. 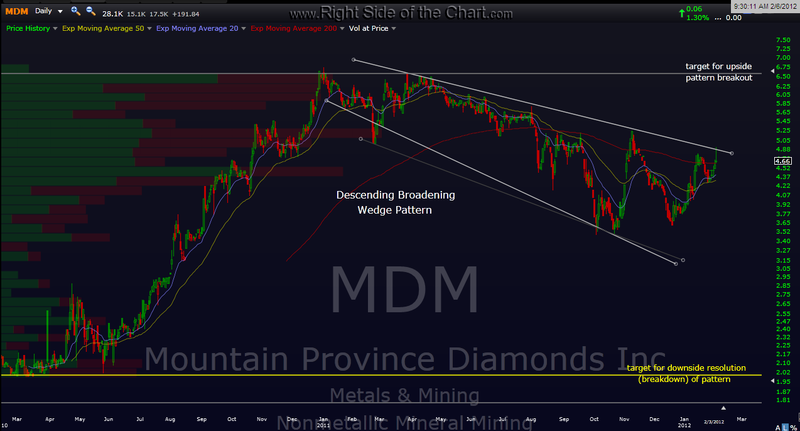 remember that once a resistance level is broken, it become support and vice versa. 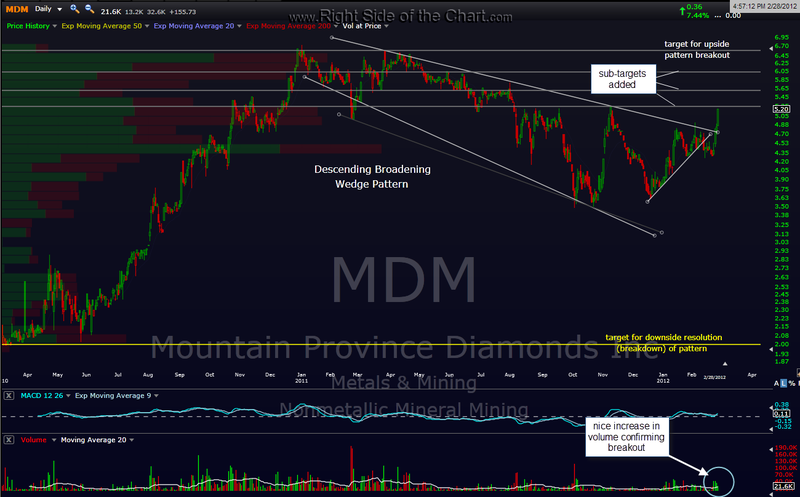 in this example (see today’s chart, the last in the string of charts posted on the MDM trade below), a trader preferring tight stops could have set a stop not far below T2 as once that target was hit, prices traded above it for a few days and even printed a close above it. 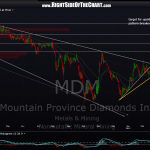 then the stock reversed and that stop would have been hit giving back just a small amount of the 17.8% gain that MDM produced from the breakout to T2. another option for a less active, longer-term trader or investor shooting for T3 or T4 would have been to set a stop below T1, which would have still assured a profit on the trade yet if prices were to have fallen back below that level it would obviously have signaled something wrong with the stock. one could have also drawn an uptrend line from the lows within the pattern (see orange line on the chart) that coincided with T1 about that time that level was broken, another sell signal.